Calories are used to calculate the amount of energy in foods and beverages. Well, if we want to lose weight, one way that can be done is with a calorie diet. This diet is a diet that limits the intake of calories consumed. Our body needs calories to make energy. However, everyone's caloric needs are different. It depends on several factors, such as age, gender, and physical activity that is lived daily. Every day an average adult woman needs an energy intake of 2,000 calories, while an adult male is 2,500 calories. If consumed in excess, calories will be stored in the body as fat and make weight gain. For weight loss, calorie diet can be done, but you should consult a doctor first nutrition. Calorie diet is done by limiting the amount of calories that enter the body, which is only 1,000-1,500 for women and 1,500-2,000 for men. Reducing the number of calories as much as 500 can make weight down about 0.5 kg per week. With the reduced number of calories, our body will break down the fat to be energy. 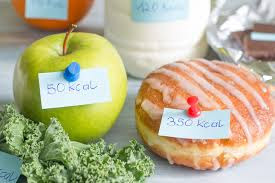 In addition to being able to reduce weight, a calorie diet with mild intensity also gives a good impact on health, such as reducing the risk of diabetes, high blood pressure, and high cholesterol. Eating more protein-rich intake is the most effective and simple way to lose weight. In addition, increasing protein intake can increase metabolism and help curb our appetite. Fruit juice packs and soft drinks are usually added sugar in large quantities. Research shows that both types of beverages are very capable of causing obesity. If you want to consume fruit juice, it is advisable to consume pure fruit juice that is not given additional sugar. Drinking two liters of water every day can burn 96 extra calories in the body. If taken 30 minutes before eating, the hunger will be reduced and the number of calories from food consumed so little. When we go on a calorie diet, automatic calorie intake in the body is reduced, and the body will balance it by burning fewer calories. A calorie deficit will also result in a loss of muscle mass as well as a significantly reduced metabolic rate. In order not to happen, it is advisable to diligent exercise, such as lifting weights, walking, swimming, jogging, push ups, sit ups, or squats. Adjust the intensity of exercise with the intake of calories consumed, so as not to feel tired. Especially that comes from sweet foods and sugary drinks and simple carbohydrates. Not only good for weight loss, limiting carbohydrate intake is also good for people with metabolic syndrome and type 2 diabetes. Research shows, a calorie diet within 12 months by limiting carbohydrate intake is more effective in losing weight and blood triglyceride levels when compared with diet low fat. If you are confused about how the diet will look calorie diet every day, this guide may be used as a benchmark. Breakfast: 1 piece of fresh bread, ¾ cup corn flake, 1 banana, 1 cup skim milk, 1 poached egg, 1 teaspoon margarine. Lunch: 60 grams of protein foods such as skinless chicken meat, 2 loaves of bread, 2 tomatoes, 1 teaspoon of mayonnaise, 1 medium apple. Dinner: 60 grams of protein foods such as chicken or lean beef, 1 boiled potato, 1 teaspoon margarine, 1 cup cooked vegetables, ¾ cup of strawberries or oranges. Snack: 3 cups of popcorn without taste, 1 piece of white bread, 1 cup skim milk. Just like any diet in general, calorie diets also have side effects, such as headaches, dizziness, nausea, and constipation. Extreme low calorie diets are also at risk of health problems, such as gallstones. In addition, not everyone fits into a calorie diet. Therefore, it is advisable to consult a nutritionist to determine the type of diet that suits your condition.